From emergency care to visiting specialists, choose Paul Oliver Memorial Hospital. In every season of life and every season of the year, we are here for you with advanced health care services. Nationally-ranked specialists hold clinics right here in Frankfort so you have easy access to expertise, year round. From routine visits to emergencies, and physical therapy to dialysis, weâ&#x20AC;&#x2122;re dedicated to caring for you in your community all year long. For more information on services offered at Paul Oliver, call 231-352-2200 or visit munsonhealthcare.org/POMH. No long drive. No long wait. Specialized medical care, right here. 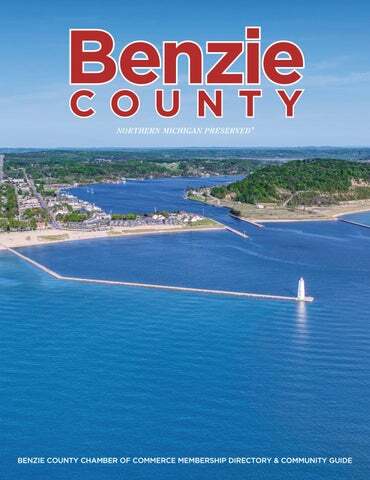 Benzie County, Live, Work, Play The Benzie County Chamber of Commerce is proud to present our 2019 Membership Directory & Community Guide. This annual publication not only provides you information on all of our members (see pages 17-36) but is an excellent resource for area information. Whether you are a year-round or seasonal resident, a visitor or interested in relocating to Benzie County, this directory includes the important and relevant content you may need. Highlights in this year’s edition of our annual Membership Directory & Community Guide include recognition of our 2018 Outstanding Business of the Year, Stormcloud Brewing Company and 2018 Community Impact award to a Non-Profit Organization member, Benzie Senior Resources. Read more about them on pages 2 & 3. On pages 10 & 11, learn a bit about the history of our county and why our roots run so deep with nature. The Benzie County Chamber of Commerce mission is to promote a thriving four-season economy and high quality of life through networking, training opportunities, marketing and advocacy on behalf of the community and this directory is just one of the many tools used to fulfill that statement. Information on all of our members by category and alphabetically are included in this publication along with contact information for local, state and federal government agencies. We are pleased to respond to inquiries for information about our community, businesses and organizations. You may reach us by phone at 231-882-5801, online at www.benzie.org, by email at chamber@benzie.org or stop by our office at 826 Michigan Ave., Benzonia at the corner of M115 & US 31. Design, production and editorial services by MyNorth Media 125 Park Street, Suite 155 Traverse City, MI 49684 (231) 941-8174, www.mynorth.com Northern Michigan Preserved® is a registered trademark of the Benzie County Area Convention & Visitors Bureau and is used in this publication with their permission. Chances are, if you’re a craft beer drinker in northwestern Michigan, you’ve noticed Rainmaker Ale from Stormcloud Brewing Co. on tap at local watering holes or displayed in distinctive black-and-orange cans on the shelves of grocers and party stores. The Belgian-style ale’s visibility (and availability) throughout western and northern Michigan is a sure sign of success for the Frankfort-based brewing company, which began operations five years ago on Main Street, just two blocks from Lake Michigan. “We are humbled by the success we’ve had since we opened,” says Rick Schmitt, who cofounded the brewery with Brian Confer. “We are so appreciative of the support the community has provided Stormcloud. We are a couple of years ahead of where we thought we would be or perhaps where we could be.” Since its opening, Stormcloud Brewing Co., has become a staple on Frankfort’s Main Street, drawing locals and tourists alike with its distinctive menu and Belgian-inspired ales. Its beer offerings include the traditional Dubbel, Tripel and Strong Ales, along with classic beer styles such as Blondes, Pale Ales, IPAs, Porters, and Stouts. The fledgling company expanded its footprint in the coastal town this past year with the opening of a 12,759-square-foot warehouse, production facility and tasting room, just a mile east of its Main Street pub. With expanded production capacity, Stormcloud has been able to grow its keg beer distribution to the greater Grand Rapids area. Its Michigan footprint now includes 32 counties in the Lower Peninsula. As of July, Rainmaker Ale and Whiled Away IPA, a Belgian-style IPA, are available in six packs of 12-ounce cans in 24 counties. WHY CHAMBERS GET INVOLVED The policy arena can be a contentious world on occasion. Every now and then we will hear a question aloud about why the Chamber would take a policy position on a legislative or local policy issue. With hundreds of individual business members - which means hundreds of individual opinions - the question is a good one. Someone is bound to disagree, so why take on that risk? As Chambers of Commerce, we engage in this arena because the business community needs an advocate, and if Chambers won’t do it, no one will do it for us. The Benzie County Chamber of Commerce has accepted that charge and has taken on this leadership position as an advocate for this area. 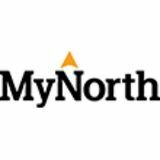 It is an active member of the Northern Michigan Chamber Alliance, a partnership of over a dozen Chambers and economic development organizations around northern Michigan and the U.P. that work together on state and federal policy issues that impact the northern Michigan business community. Separately, we are all small, rural Chambers of Commerce. Together, the Chamber Alliance is one of the largest business partnerships in the state of Michigan, representing over 8,000 individual members. We are striving to increase our impact and our influence in Lansing and Washington, DC by focusing on issues critical to rural businesses and communities. In that past year alone, we’ve worked together to: • Stop a bill that would have cost northern Michigan dock and trucking jobs, and could have led to an increase in winter road salt costs. • Insert an amendment in the state budget that will allow more rural friendly competitive robotics program in schools, plus an additional $500,000 for competitive robotics grants to schools. Many small northern Michigan districts are already taking advantage of this win this fall, and we will see the impact of this in STEM fields for years to come. • Make multiple, significant amendments to a bill creating a transformational brownfield program so it would allow northern Michigan communities to participate. • Stop a bill that would have prevented local units of government from providing high-speed internet - a critical, yet hard to come by commodity in rural areas. • Secure key votes to amend troubling bills that raised the state’s minimum wage, removed the popular credit for tip earners, and mandated employers to require paid sick leave. • Create a platform of policy changes to address solutions to northern Michigan’s workforce housing, childcare, and talent shortage issues. We are proud to work alongside so many Chambers and other business associations that get involved in the nitty gritty arena of public policy work. The Chamber Alliance will continue to lead with a strong voice on issues that impact rural business and the economy in our region. For ongoing updates on our legislative activities, visit our blog at www.nmichiganbusiness.com. Community Information Contacts All numbers are in the 231 area code unless otherwise listed. Free Blood Pressure Check Caring * Competitive * Convenient Prompt and Courteous Service Thanks for Choosing Us! AS A DIRECT LENDER, WE PROCESS, UNDERWRITE, AND FUND ALL OF OUR LOANS. Northwestern Michigan College At NMC, you can earn a degree or certificate in more than 80 academic programs, from accounting to welding. Annually, more than 50,000 learners visit four Traverse City campuses for a credit or non-credit class, professional training and development, or to see an exhibition at the Dennos Museum Center. Affordability is a cornerstone of the college, whose tuition is less than half that of a public four-year university. NMC also offers residence halls and a vibrant student life. The college is nationally ranked for its short-term study abroad program, veterans services and several specialties, including the Great Lakes Maritime Academy and maritime technology, aviation and unmanned aerial systems, and culinary. Learn more at nmc.edu. The area that now comprises Benzie County was originally pure wilderness—a region ripe for hunting and fishing, which the first people here, the Odawa, tapped into, creating the first economic force in this area. When Europeans arrived, they took advantage of the wild bounty, too, trapping and trading across the land. Over time, commercial fishing for species like whitefish and lake trout took hold and became the first steady industry in Benzie County. Of course, recreational hunting and fishing became a huge attraction; hunting for passenger pigeons in Benzie was advertised in newspapers nationwide, and the first Coho salmon ever to swim in Michigan were planted (with recreational anglers in mind) in the Platte River near Honor. In 1858, a group of parishioners from an Ohio church followed the Reverend Charles E. Bailey north to the wilds of Benzie County, where they established an educational Christian colony named Benzonia. Thirteen students attended their school’s first classes, held in 1860; by 1875 enrollment had reached 150. Benzonia was officially incorporated as a village 16 years later, and though the academy closed its doors in the early part of the 20th century, one of its dormitories lives on today as the Mills Community House, home to the Benzonia Public Library. Benzie’s woods and waters are not only a source of beauty but an economic boon as well—and that’s been the case for as long as humans have found themselves here. Most of the county’s cornerstone industries were first rooted in the land—both managed and wild—well before Michigan was even declared a state, creating legacies that still last today. With guidance from the team at the Benzie Area Historical Museum, here’s a look at some of the region’s first industries that had—and continue to have—a significant impact on Benzie’s story. The Odawa were the first to farm this land, though the first significant agricultural push came with the Homestead Acts of the mid to late 1800’s, which brought a little flurry of farming families to the region. Orchardists began making their mark here, and the world took notice: In 1904 Benzie received a gold medal for fruit production at St. Louis World’s Fair. The presence of railroads encouraged expansion of fruit production and fruit packing, but locals lent a hand in growth, too: In particular, a horticulturist named Paul Rose, who had moved to Elberta with his wife, Edith, around 1890, was instrumental in changing fruit packing and farming methods here. Leisure-seeking in Benzie’s beautiful scenery dates back to the 19th century, though at first it was limited by lack of transportation options. But with the advent of passenger rail and ferries, so too came the advent of tourism, with folks beckoned northward by stately inns and sandy beaches along Lake Michigan and Crystal Lake. (An interesting hiccup for the history books: Crystal’s famed beaches were actually formed through folly when construction of a man-made channel accidentally lowered the lake’s water levels by 20 feet). In 1902, the Ann Arbor Railroad opened a three-story hotel in Frankfort that rivaled Mackinac Island’s famed Grand Hotel—it was called the Royal Frontenac, and it had been built for the express purpose of promoting the region’s beauty. The Frontenac tragically burned to the ground in a fire just 10 years after its construction, but by then it had helped the area cement its reputation as a vacation paradise—a legacy that happily lives on. Special thanks to chief researcher Andy Bolander of the Benzie Area Historical Society and Barbara Mort, director at the Benzie Area Historical Museum for their expertise and help with this article. For more details on volunteer possibilities with the BAHS, contact the museum office at 231.882.5539 or email info@benziemuseum.org. Celebrating 20 years marketing Benzie County, the Benzie County Area Convention & Visitors Bureau’s (CVB) went through a rebranding during 2018 and is now “Make It Benzie”. Their mission remains the same, to promote Benzie County as a tourism destination utilizing the funds collected through State of Michigan Legislation (PA59 of 1984), which allows for up to a 5% (currently 2% in Benzie County) assessment to be collected from overnight visitors staying in one of the CVB’s 24 lodging property members. The ongoing efforts that are part of the rebranding include a new website, new social media plan, photography, video and updating of all of the organizations current marketing. This includes print and electronic ads, television and radio commercials along with other items that require updating due to the name change. The process of rebranding began in the fall of 2017 with a visioning session with lodging property members, board members, staff, key community marketers and vendor stakeholders. The process is being facilitated by Greenlight Marketing, based in Traverse City, Michigan. Using a local company was important to the CVB as they are staffed by locals who really understand Benzie County. During the processes several new brand names and taglines were vetted with the final selection of “Make It Benzie” for the name and new tagline “We are Northern Michigan”. Once the name and tagline was determined, it was time to select designs and colors for the new logo. You can see by the image above that water plays an important role in our marketing and our name. A winter version of the logo has also been created with the splashes over the “i” replaced with snowflakes. The logo images are also being animated for use in television commercials and online marketing opportunities such as social media and websites. The CVB services all areas related to tourism, including leisure, business, events and group travel. What does this mean to our local economy? Well over $25 million annually, according to conservative estimates based only on visitors that spend the night in a CVB-member lodging property. If you consider visitors who also stay with family and friends, camp, and stay at other lodging properties in the County or nearby communities, or just visit for the day, that impact amount is easily four or more times that amount. One of the most important and successful partnerships is the joint operating agreement between the Benzie County CVB and the Benzie County Chamber of Commerce. Not only is this a fiscally sound partnership for both organizations, but it also benefits our members and provides them additional opportunities. For more information on the Benzie County CVB you can visit their website www.visitbenzie.com, call them toll free at (800) 882-5801, or stop by our visitor center located at the corner of US-31 and M-115 in Benzonia where they are proud to share space with the Benzie County Chamber of Commerce. Co. 602 County Line Rd. Famous for being the birthplace of Bruce Catton, Pulitzer Prize winning author and one of the nation’s premier Civil War historians. For history buffs, the Benzie Area Historical Museum showcases the deep rich history of our county. TO TRAVERSE CITY INTERLOCHEN RIiley Rd. Perched between beautiful Betsie Bay and a striking Lake Michigan bluff, this quaint town offers up eclectic stores and eateries plus the bounty of the area’s fruit belt at Thursday’s Elberta Farmers Market. This pretty port town with an enchanting historic lighthouse, bustling marina and excellent charter fishing, also boasts lovely neighborhoods and a downtown with a renovated vintage movie theater and shops. Also find classic Up North fare, upscale dining and a top-flight brewery. A ﬁsherman’s destination on the Platte River, this village is home to a classic drive-in movie theater, and family-owned lodging. Outdoors activities abound on the Platte River and in the adjacent Sleeping Bear Dunes National Lakeshore. Home of an in-town beach with several hundred feet of sandy shore on the southeast edge of Crystal Lake, all just steps from a charming downtown shopping district. This bustling and vibrant village also hosts summertime Music in the Park with a top-notch lineup of blues, folk and jazz. Nestled along north shore of Lake Ann, this resort village and Traverse City commuter community has all the creature comforts covered: a microbrewery, pizzeria, coffee house, and a grocery/hardware. Surrounding state land serves up epic trails, camping and hunting. www.GenosSportsBar.com Downtown Historic Thompsonville, 1.7 miles from Crystal Mtn. Turn your Backyard from Average to AMAZING... by Creating an Outdoor Living Space! America’s Largest Selection of Quality American Made Products at America’s Best Prices ... GUARANTEED! Largest Selection in the MID-WEST over 65,000 square feet 200+ Patio & Sunroom Groups on Display Furniture in Wicker, Recycled Polymer, Aluminum, Wrought Iron, Resin Vinyl, and much more! Shade Specialists - Umbrellas, Awnings and More! Flame Authority - Grills, Firepits, Heaters and More! The Benzie County Chamber of Commerce promotes a thriving four-season economy and high quality of life through networking, training opportunities, marketing, and advocacy on behalf of the business community. Make It Benzie (800) 882-5801 | www.visitbenzie.com The Frankfort-Elberta Chamber of Commerce (231) 352-7251 | www.frankfort-elberta.com The Traverse City Area Chamber of Commerce/ Traverse Connect & Venture North (231) 947-5075 | www.tcchamber.org Most importantly, membership in the Benzie County Chamber of Commerce is an investment in our community. Your investment with us is an investment in the economic development and quality of life in Benzie County. Most importantly, membership in the Benzie County Chamber of Commerce is an investment in our community. Your investment with us is an investment in the economic development and quality of life in Benzie County. Get EVENTS easily and add them to your calendar. This directory includes those members in good standing as of 12/31/2018. ENHANCED MEMBERS ARE MARKED WITH A Select the event you'd like to know more about, for a description, then select ‘Add to Calendar’.  Notice that if you have a banner ad on our website, it also rotates and appears on the App! Crystal Lake Poplar Cottage 6147 Crystal Ave Beulah, MI 49617 (606) 271-1005 nancybigelow@lakecumberlandrealty.com  Encourage your co-workers, family, friends and  Updates to your member information will be on the App within 1 hour!!!  Job Postings, Hot Deals or News can be submitted through the member area on Benzie.org and it will appear on the app under those links! customers to download this free app to stay connected with all the great things happening in our community and with members of the Benzie County Chamber of Commerce! BANK ON BEING THE BEST WE’RE COMMITTED to making a real difference in Benzie County and the surrounding area. Our team of dedicated employees is here to serve you and meet all of your banking needs. If you’re not satisfied with your current banking solutions, call or visit us to see how our staff could make a real difference for you! Featuring real roast turkey, Black Angus steaks, and a wide array of fresh sandwiches and salads. BUILD, BUY, RENOVATE, or REFI? I would love the opportunity to discuss your options. Welcome to your dream living! CUSTOM CABINETRY & FURNITURE HONOR BUILDING SUPPLY INC.
EVERY TIME. Explore adventures at Crystal Mountain. M A K E IT YOU R MOM E N T.
A complete line of A complete line of exceptional doors. exceptional doors. A complete line of complete line of exceptional doors. xceptional doors. For additional information on events go to Benzie.org • Like us on Facebook! Platte River Inn (231) 227-1200 Restaurants PLATTELAKELODGE.COM (248) 565-2222 Accommodations - Cabins, Cottages & Homes Pleasant Valley Resort Motel (231) 889-4194 Accommodations - Hotels & Motels Plumstead P.C. Q R R & R Motel (231) 352-9238 Accommodations - Hotels & Motels RE/MAX Bayshore - Benzie (231) 352-5200 Real Estate Agencies Real Estate One, Inc.
Benzie County, Live, Work, Play.